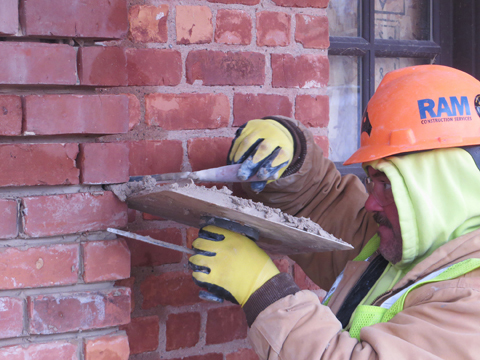 BAC LOCAL 2 member John Hejnosz does some fine work tuck-pointing brick at the Durant-Dort Carriage Co. preservation project in Flint. FLINT – General Motors is giving its birthplace a bit of a modern makeover. ..
All of the structural steel is up – the last of about 10,000 tons – creating the framework for the massive new GM Flint Assembly Paint Shop. ..
FLINT – General Motors’ next generation of paint shop technology is taking shape at its Flint Assembly plant on Van Slyke Rd. ..